The popular dude ranch and cross-country skiing destination on Grand County Road 1911 is the closest group of structures to the fire. The blaze is a little more than one mile from the ranch, according to Lt. Dan Mayer, of the Grand County Sheriff’s Office. High winds Sunday pushed the fire — which has burned more than 2,000 acres of Routt National Forest in Routt and Grand counties — to break across an action point on the southern edge. That prompted officials to issue a pre-evacuation notice for Latigo Ranch before the mandatory evacuation order was issued Monday evening. Smoke from the blaze dramatically increased Monday, as winds continued to gust, pushing the fire toward the ranch. 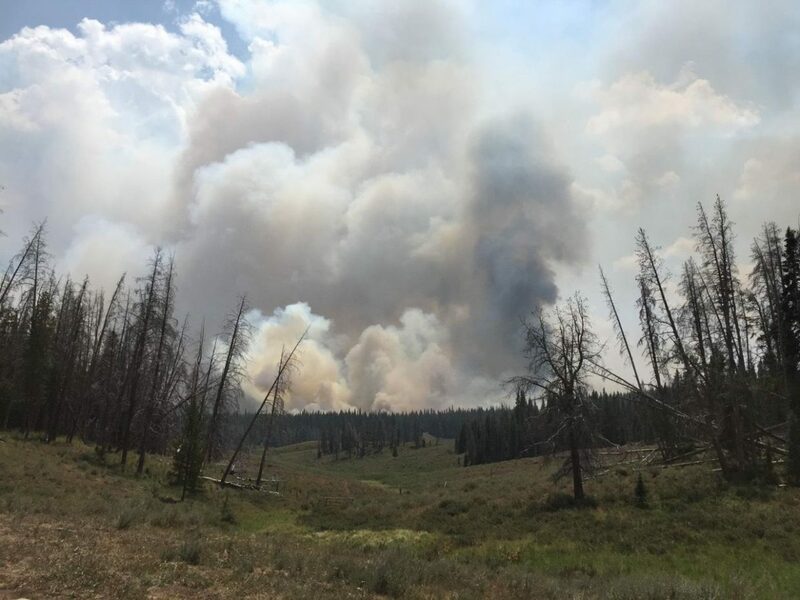 More than 200 people are fighting the Silver Creek Fire, with the assistance of two helicopters for water drops, five bulldozers to create containment lines, and six engines. Crews from Kremmling Fire Department, along with the Grand County Sheriff’s Office, are actively monitoring the scene as a precaution. The lightning-caused fire started July 19.